Many of us like to address messy situations from a comfortable distance. We feel better if we can help out by writing a check or volunteering for a few hours. If we’re not too busy. If we’re pretty sure there won’t be a lot of drama involved. But who in their right mind would embrace the opportunity to help people in the midst of crisis – whenever and wherever – and do it every day? Perhaps someone who recognizes his gifts. Someone who sees God’s calling for his life. Someone like Bob Barnes. Bob is simply the best communicator I know. Leadership lessons. Bible studies. Commencement addresses. Just telling stories. He’s also one of the funniest people on the planet. And he’s a man on a mission. - Residential care to more than 130 middle school-aged boys and girls with behavioral and emotional issues. Staff members at Sheridan House hear stories that would break your heart. 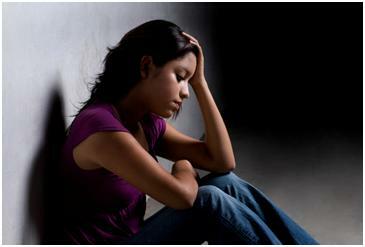 They see the products of miscommunication, neglect, and physical or emotional abuse. When they begin to work with people, progress is often slow, and not every relationship, family situation, or behavioral issue has a successful outcome. But it is worth the effort. Person by person. Day by day. I always wondered about social workers and grief counselors, and how they recharge their batteries. It takes a special person to deal with others in crisis, and often seeing people at their worst. How do you leave it at work – and not take it home with you? How do you ensure that non-working hours are as stress-free as possible? It is hard to identify Bob’s “non-working” time. Outside of his duties at Sheridan House, he teaches Bible studies two mornings a week at 6:30 a.m. and one evening a week at 7:00 p.m. He frequently does parenting and marriage seminars (with his wife Rosemary) around the country. And to round out the schedule, his Sundays are usually spent serving as interim Senior Pastor at churches in South Florida, when pastors have moved, retired, or been asked to leave. 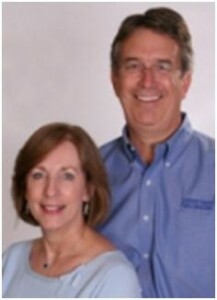 Over the last thirty years, he has been interim Pastor at nineteen different churches. Invariably these churches are dealing with the emotional loss of a leader, or are wrestling with uncertainty – and possibly discord – within the congregation. I sat in a Bible study one morning (yes, at 6:30 a.m.) several years ago, and Bob was just as insightful, lively and humorous as ever. At the end of the session, he asked for prayers for a local church that had been rocked by scandal. Bob later explained that he had just been installed as interim pastor there, and the previous night he presided over a meeting that gave the congregation the opportunity to ask questions…and to vent. The meeting lasted long into the night. I think I responded with something really profound, like “Oh… Really?” and I thought better him than me. Opportunities? I knew how I’d react in Bob’s shoes. Sleepless nights. Ulcers. Woe is me. You can bet I’d either be unprepared or incapable of leading a study eight hours after the conclusion of the congregational meeting. Other activities would get shut down. And then it hit me. There was a recurring theme surrounding Bob and Sheridan House. When Bob was hired as President of Sheridan House in 1974, he accepted the role on one primary condition: he wouldn’t be required to do any public speaking. He hated public speaking. But eventually, he forced himself to go out and speak. Teach. Preach. Train. Each opportunity allowed him to bring visibility to Sheridan House. Because the story needed to be told. He realized that pushing past his own discomfort could make a difference. For children. For families. For God’s glory. Sheridan House bought fifty-seven acres of land to build a campus that could become a prototype for equipping and supporting teens and single moms. At the outset of the project, it looked impossible – financially, politically, administratively. Why does someone with a ministry mindset get involved in negotiating a real estate deal, meet with engineers, subject himself to the political hot-potato of neighborhood activists and city politics? Why take on a project that large, and potentially that problematic? Because the needs are so great. For children. For families. For God’s glory. So here I was standing in a counseling center where the dysfunctional are welcomed, overlooking homes where troubled teens are given guidance and love, talking about a church congregations in crisis. I think if we were allowed to play God, we’d all design our gifts to be something soft and passive, and we’d be able to avoid anything messy. But thankfully, God is in control. I’ve known Bob for almost twenty years, and he continues to allow himself to be stretched and challenged. Discomfort today may mean significant personal growth, and ultimately tremendous impact. As far as Bob is concerned, the need in our country is great. The American family is at risk. Single moms shoulder a disproportionate burden, often without the skills or resources to be successful parents. Kids are growing up without role models, and they don’t know what a healthy relationship looks or feels like. Couples go into relationships believing it’s a crapshoot and they’ve got a 50/50 chance of making it. Failure is not only acceptable, it’s almost expected. So for Bob and his associates, is it worth the personal discomfort? Is it worth getting messy? 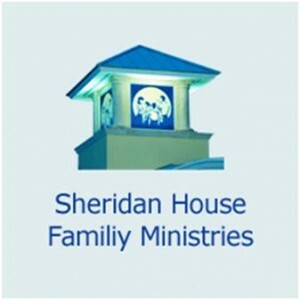 Sheridan House is one of the quintessential pay-it-forward ministries. As troubled teens, single moms, and fractured couples change their lives and their relationships, they begin to positively impact others. Bob tells stories of the graduates of the boys and girls homes becoming teachers, policemen, coaches – and even pastors. I’ve personally met single moms who’ve been equipped by Sheridan House, who have landed new jobs, received promotions, and in some cases, are now counseling other single mothers. There is a sense of urgency about Bob Barnes. Some of it is a big-picture goal: to make sure we don’t lose this generation, but get family, faith, and personal responsibility back on track. But the short term goal is just as urgent: to rescue the next troubled teen, equip the next single mom, help the next family in crisis. Life should not be about cruise control. It should be about impact. I think we all need to look in the mirror and be able to answer the question, “Why do you do what you do?” I believe the answer for Bob Barnes is easy. For children. For families. For God’s glory. Thanks for your encouragement, Kathy. I can only hope that everyone has someone like Bob Barnes in their life. You are right about the introspection, too. When I interact with Bob I am always inspired, and at the same time, it causes me to examine how I spend my time and where my priorities are. The staff at Sheridan House is very selfless – and spending time there keeps me grounded. I’m glad you’re willing to get messy!